Last the week the newswires were abuzz with stories about Indian budget carrier SpiceJet ordering up to 40 Boeing 737 MAX aircraft. While the ordering of the new fuel efficient MAXs is a foregone conclusion, given the airline’s need to continue its growth, the timing is not certain. What is certain is the airline’s precarious financial position. 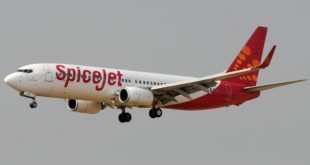 For the second quarter of this fiscal year 2013~14, which ended on September 30, SpiceJet reported a massive loss of Rs. 559 crore. Direct contributors to this loss included a steep fall in the Rupee US Dollar exchange rate, plenty of one-time large ticket aircraft and engine maintenance costs, and the traditionally weak demand of the quarter which commences just as the summer holidays conclude. The Mint newspaper estimates the company having a negative net worth of Rs. 603.29 crore. An indirect contributor to losses has been the steady stream of chief executives who have arrived and exited the airline with regularity. While these leaders were competent, each leader brings with him or her a new style of working, a new strategy for operations and results. Any organisation, naturally, expends resources to engage, understand, and adapt to the new leader, and for the new strategy to deliver results. Consequently, industry experts believe the airline urgent needs a cash infusion of about Rs. 1,500 crore ($250 million). The promoters led by media baron Kalanithi Maran have planned an increase in their shareholding via issue of warrants which will bring in about Rs. 133 crore in to the airline. Ordering any aircraft requires an upfront payment, at the the time of booking, of one per cent of list price. For 40 Boeing 737-8 MAX the list price would be around $4 billion and one per cent of that is $40 million or Rs. 244 crore. Cash the airline just does not have right now, and Boeing is known for being a very disciplined company. There are strong rumours that SpiceJet may sell a stake to a foreign carrier by the end of this fiscal which ends on March 30th. If this infusion fails expect another by the promoters early next fiscal. Only after which, can we expect a confirmed order. What are your views? Share your thoughts via a comment.